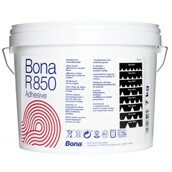 R850 is an elastic 1-component silane adhesive for wooden floors. 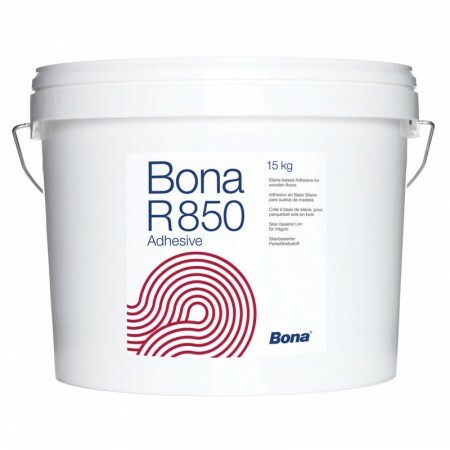 The hardened adhesive is similar to conventional adhesives in its ability to withstand thrust during expansion, whilst having a low resistance to shrinkage. This means that tension to the subfloor is very low. The adhesive hardens due to a chemical reaction with moisture. The substrate must be even, totally dry, clean, free from cracks and physically sound. The surface should also be slightly textured. A primer is typically not needed. Depending on the expected average conditions the parquet needs, for the best adhesion, the correct moisture content of the wood to be selected. Solid wood parquet should be slightly more humid whilst multi-layered or prefinished parquet should be slightly drier. Solid wood parquet shall have therefore, in general, an average humidity of 9% whereas multi-layered and prefinished parquet shall have in average 8%. Typical deviations from the average are +/- 2 %. Where doubts exist, avoid too dry material. Note: Please also refer to the instructions for use provided by the parquet manufacturer. The adhesive itself must, if necessary, be brought to the right temperature. 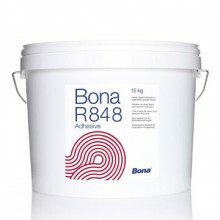 Each tub covers approximately 15m². 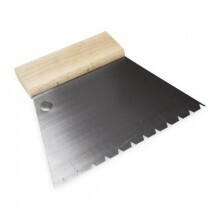 Apply with a Bona notched trowel. The temperature must not fall below +5°C or exceed +25°C during storage. Store in cool, dry, well ventilated area.